Are you loving life with your dog? Tired of people teasing, “Are you walking your dog, or is your dog walking you?” Are you running out of excuses for your dog being the only one left home at dog-friendly get togethers (for fear your dog’s unruly party behavior would be even worse to bear)? Do you have to police your dog every moment, or keep them locked up in their crate to prevent trash digging and counter surfing? Here’s the help you need! Enter, Seattle Dog Training Coach! I love helping pet owners unravel dog behavior puzzles. 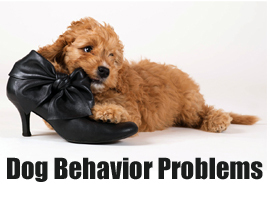 With over 15 years of experience with a wide variety of dogs in a wide variety of home and public environments, I’ve become know for my creative behavioral problem solving. I’d like to thank all the formerly naughty dogs out there! I learn something new from every challenge I encounter, giving me a veritable bank of techniques to choose from as I tailor a solution that’s perfect for you, your dog and your specific needs. Whether you are a first-time dog owner needing help with all the basics, or a seasoned pet parent whose previous training approach just isn’t working with this dog, I’m eager to guide you toward reaching your dog training goals! 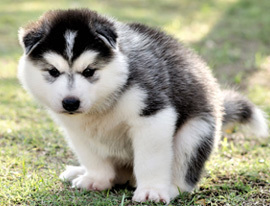 In a perfect world, you’ll be reaching out to me for basic preventative dog training assistance, so you won’t have to deal with dog behavior problems later. However, if your dog already has some bad habits, I’ve got your back! Getting into the trash, etc. If you face any of these struggles, I can help! My name is Betina, and I am the Seattle Dog Training Coach. One of my students once said I must have been a dog in a former life. I don't know if that's the case, but I have learned through over fifteen years of experience what does and doesn't work for various dogs in various settings given the constraints of their specific environment and their family's preferences. 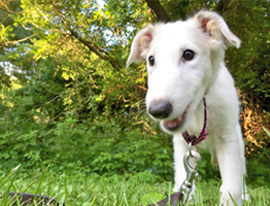 My expertise in dog training and behavior modification developed initially out of my own need for help when I was living in Japan with my first borzoi puppy. In a culture where polite behavior was expected, my dog was a wild child! Looking back on it, I could never have asked for a better way to learn dog training than by diving in with a breed known to be a challenge to train. With that experience under my belt, and my passion for both creative problem solving and understanding the function of behavior, I became one of the Boston area's favorite dog trainers. I was awarded Best of Boston by Boston Magazine in 2006, won Best Trainer from Beantown Tails yearly from 2008 - 2010, and placed in the Boston A-List competition every year from 2012 – 2014. I adore animals... and people! I am fascinated by studying why we all do the things we do. My "tribe" extends far beyond the limits of political affiliation, nationality, race or gender. I believe in inclusion. My life's work is teaching people to influence the behavior of others by relying primarily on positive, force-free methods. While I love the use of a clicker as a reward marker during training, I'm happy to teach you how to use a verbal reward marker instead (if you really just don't take to "gadget-based" training). I am also a strong supporter of the NILIF method (Nothing In Life Is Free). Yes, I use food and toys as rewards. I also use access to play, interaction with other dogs and people, and other desirable activities as rewards to shape the behavior we want to see. For about five years before I became a professional dog trainer, I taught humans of all ages in Japan how to communicate in English through the immersion method (meaning we were not allowed to speak any Japanese at all). 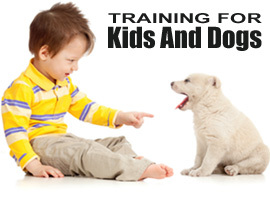 This experience has been pivotal to my success at teaching both humans and dogs. Still reading? It looks like we may work well together! Let me help you shape your dog’s behavior with creative and fun private dog training so you can get back to loving life with your dog! Reach out to me today. Just click the envelope icon towards the upper right portion of this page to send a message, or call (206) 745-0181 and let's get you on the path to loving life with your dog! Mobile puppy and dog training lessons are available by appointment in Seattle, WA (Magnolia, Ballard, North Seattle) as well as Shoreline, Edmonds, Lynnwood and Everett, WA. 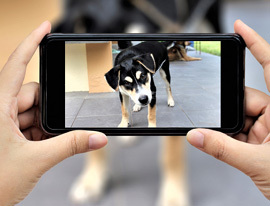 Online dog training via Skype or Google Hangouts is available anywhere there's a decent internet connection!